Infallible Techie: How to disable Advance Currency Management in Salesforce? How to disable Advance Currency Management in Salesforce? 1. 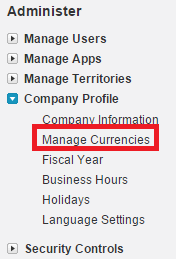 Go to "Manage Currencies".